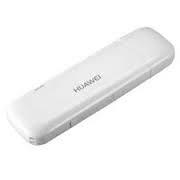 To configure GSM (Mobile phone) and Modem (WCDA/HSDPA) is one of the difficulties many people do encounter. I remember those days when i was in higher institution, I know how much I make in a week, just to configure people phones and modem. Most often, you may worry about internet configuration and settings if you are using GSM or WCDMA/HSDPA. In this post you will see a well detailed and comprehensive tutorial I have put together to help you configure your 3G phones for MTN, GLO, Etisalat and Airtel 3.5G services both automatically and manually, including the modems of these networks. 1. To get your 3G/3.5G/GPRS internet settings, text SETTINGS to 3888 on an MTN Nigeria mobile phone. 2. Save the internet settings when received. 3. Activate it as your default settings. 4. If your mobile phone is a Smartphone, you may not need to do this, because once you insert your registered SIM card, the internet settings will be stored by itself. 1. To load automatic Glo settings, SMS Flat [space] name & model of the phone to 1234. For example, to configure your Nokia 5230 simply SMS Flat Nokia 5230 to 1234. 2. You will receive the settings over the air. Save the settings on your mobile phone. 1. To get your Airtel GPRS settings SMS/text Internet [space] [phone make] [space] [model number] to 232. For example, to activate Nokia 5230, SMS/text Internet Nokia 5230 to 232. 2. Save the Airtel Settings on your mobile phone when received. 1. To load automatic settings to your Etisalat mobile device, SMS SETTINGS to 790. 2. The Etisalat Settings will be pushed to your device over the air. Save the settings to your mobile phone. If automatic GPRS settings request fails, use manual GPRS settings. Here are the manual settings required for modems and most mobile phones and tablets. Note: At the time of posting the above internet settings, it works. CDMA networks carry specific phones preloaded with network settings like internet settings. Hence, if you bought your CDMA phone with internet capability from an authorized outlet of CDMA networks like Starcomms, Visafone, Reltel, Zoom mobile, or Multi-Links it is likely to be preloaded with internet settings. However, inquire form the outlet you bought it, just to be sure. 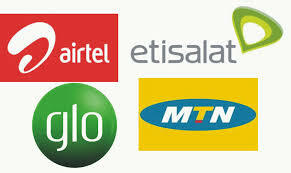 In my subsequent post, I will share with you any new or updated internet settings for MTN, GLO, Etisalat and Airtel. So, SUBSCRIBE to this blog now if you don't want to miss them, even if I post them here, when you are not online.